Boundary-pushing multi-hyphenate Flying Lotus has announced Flamagra, a new album that, probably intentionally, sounds a hell of a lot like a Final Fantasy spell. Lotus’ first LP in five years, it arrives on May 24 via Warp and comes with a terrifying new short film that slots David Lynch into the Adult Swim-meets-Hausu aesthetic he forged with 2017's disgusting Kuso. 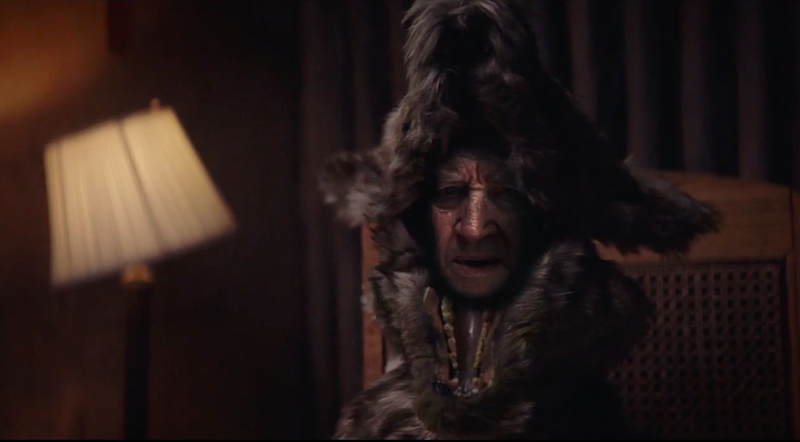 Lynch plays some kind of wolf shaman in the clip for “Fire Is Coming,” with the trailblazing weirdo reciting some very, um, Lynchian prophecy—“The yellow phone on the wall started ringing”—as Lotus’ hissing, piano-driven score builds to builds to a frantic beat and the unsettling crackle of a roaring fire. Watch the clip, which was directed by Lotus and Salad Fingers mastermind David Firth, below. Flamagra, which a press release describes as an “astral afro-futurist masterpiece of deep soul, cosmic dust, and startling originality”—not to mention Lotus’ “definitive” work—is said to encompass “hip-hop, funk, soul, jazz, global dance music, tribal poly-rhythms, IDM, [and] the L.A. Beat scene,” which, yeah, sounds about right. Its insane roster of collaborators includes not just Lynch, but a who’s who of modern hip-hop and R&B that includes Anderson .Paak, Little Dragon, Tierra Whack, Denzel Curry, Shabazz Palaces, Thundercat, Toro y Moi, and Solange. Funk legend (and Kuso star) George Clinton is also on hand. Flying Lotus aims for the heavens on You’re Dead!